My Green World, the company that created the World of The Wild app, aims to raise awareness on environmental issues. Witnessing the craze around mobile games such as Candy Crush a few years ago, a young Australian started to think to develop a similar type of game to raise awareness on major environmental issues. Natalie Kyriacou may not have had any experience in app development or coding, but she was passionate and determined to make her vision come true, even if it meant selling her car to pursue it. In this optic, she created her own company, My Green World, in 2013 to develop innovative and educational platforms to enhance the participation and interest of young people towards global wildlife conservation. Partnering with 18 global charities, such as the Jane Goodall Institute, the organisation aims at “inspiring dialogue, education, and collaborative problem-solving via unique platforms” and is tailored to inspire the conservationists of the future. We had a chat with Natalie Kyriacou and she told us more about why she decided to run her own environmental education company and discussed her app World of the Wild. INKLINE: Your background is in communication and international relations. How did you end up launching a conservation organisation? Natalie Kyriacou: I did my undergraduate degree in journalism and then I went on to do a Masters in international relations. Part of my focus through the international relations degree was gender insecurity as well as environmental policy and politics, but my intention was never to launch My Green World. I never imagined running a wildlife and environmental education company. I wanted to be a foreign correspondent and report on environmental crimes, but while I was at university I got the opportunity to spend quite a lot of time abroad, particularly in Sri Lanka and in Borneo. I was doing a bit of freelance journalism reporting on the palm oil dilemma and working at an orangutans rehabilitation clinic. That time overseas really impacted me. I came back to university to continue my studies and I was really struck by the issues that were affecting wildlife and the environment both abroad and in Australia. 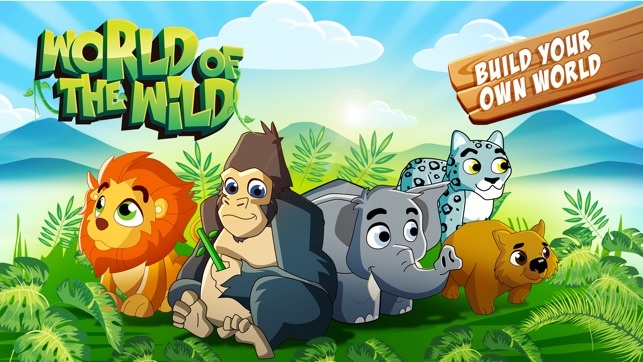 That was when mobile apps were becoming increasingly popular especially games like Candy Crush so I wanted to find a way to engage young people in all these issues that were happening all over the world regarding wildlife and the environment through games. While I was studying and still planning on becoming a journalist, I started building my own mobile game app which is called World of the Wild. The aim of the game was to allow children to become wildlife conservationists. From there I came to expand to a company where I was just really passionate about creating fun technologies, games, and education material to engage children in broader global issues. I: How did you manage to create an app on your own? N: I was such an amateur, I had no idea of what I was doing. I started out just drawing storyboards of how I was imagining the design to be like and then started talking to my friends and colleagues to see how I could make this app work. I ended up hiring a team of app developers and we went through the process where I showed them all my storyboards and gave them all my ideas. Trying to make it come to fruition was incredibly difficult. I sold my car and put my last savings in to pay for this app not really knowing what I was doing. That was a long process and a bit of a learning curve. At the same time, I also reached out to charities around the world so that I could support them through the app. I just threw myself out there and started learning along the way. I: How did you reach out to international charities and convince them to get onboard? N: It was pretty straightforward. The first step was selecting charities that I felt shared similar values to my own. If they met my requirements, then I would reach out to them and they would get back to me straight away. Many of them were grassroots charities at the time and if you are a charity and you get contacted by someone saying ‘I would really like to promote you and help you any way I can’ then they are really receptive to that. Most of them said yes and replied that they were interested to hear more and the relationships built from there. I: What type of impact has the app had so far? N: At the moment we have 10,000 active users for the app. They are predominantly under the age of 30 years old and they are based mainly throughout Australia and the U.S. Every single person that has downloaded the app is learning more about nature, they are connecting through quizzes with their friends and connecting with the charities. We’ve run a few programmes at schools and interviewed a lot of kids and got them involved in actually building the app and that had a really positive impact. We are getting a lot of emails from parents of children who have been using it just as a learning platform at home and it’s been really positive. One of my favourite things is just to get a call or an email from parents telling me that they love the fact that their kids are using the app and that it can teach real values about wildlife and the environment. I: What has been the most challenging aspect of launching My Green World? N: The app was first launched in 2015 but we had huge dramas when it went out. That was one of the most challenging experiences of my life. At the time it was my first foray into the business world, and I was learning as I was going. I ended up working with a team of app developers who, to put it frankly, ripped me off. So that was a really difficult experience but also a massive learning experience. Also because I had put all my own money into it, there was a lot of risk involved and a lot of emotions running high so I think that was the most difficult. I: What would you say has been your biggest highlight so far? N: Actually my biggest highlight has been working in schools with the kids. It’s been so much fun. We filmed a campaign video in a primary school in Melbourne last year and we had the opportunity to interview children. We asked them what were the main threats they saw facing wildlife, what they felt their parents or people my age could do to help the planet, what they wanted to be when they grow up, and it was just the most wonderful experience. All the kids were so honest and so excited and so passionate about wildlife and the environment! I: What do you have in store for My Green World? N: The next big thing is the official launch of our Kids Corner programme. Kids Corner is a digital classroom and we’ve been working on it for two years now. It will engage young people in wildlife and environmental science and conservation. It covers topics such as ecosystems and biodiversity, natural selection and evolution, ocean and habitat, climate change in a really fun and engaging, informative way and it will be available both to schools as well as hospitals and individuals. The aim is to make this programme as inclusive as possible so that every young person, as well as the teachers and parents, can have access to material that is relevant, important and easy to digest. I: What would your advice be to young conservationists who would like to launch their own company? N: I would say that you first begin by finding a problem and if you’ve got a solution then it’s worth giving it a go but many times people are trying to create a problem to fit their solution and that won’t always work. The main thing I would prioritise when starting a business would be identifying the problem and also collaborate with others. I think that’s been the most important part for me, working with partner charities.